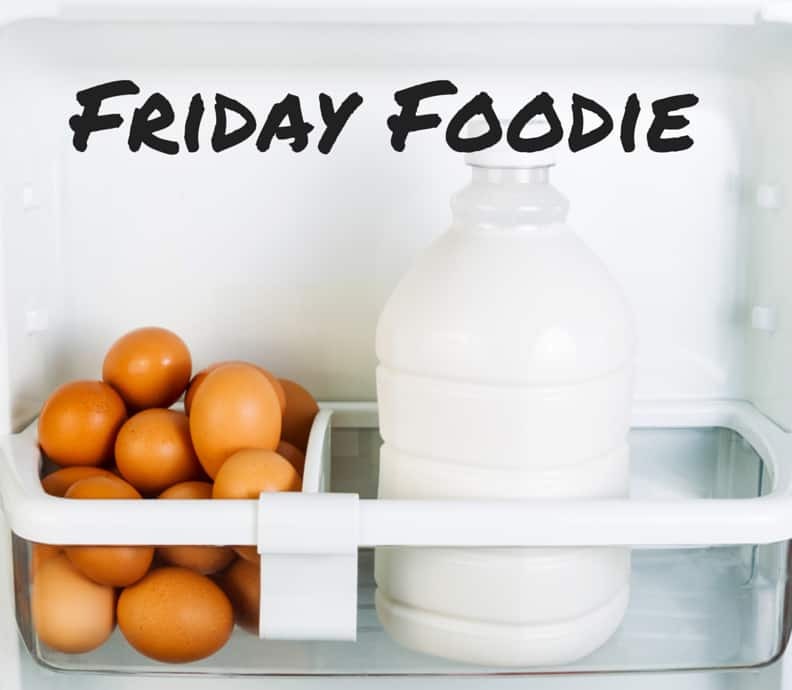 Another Friday, another awesome food blogger! This time Kari from Loaves n Dishes! 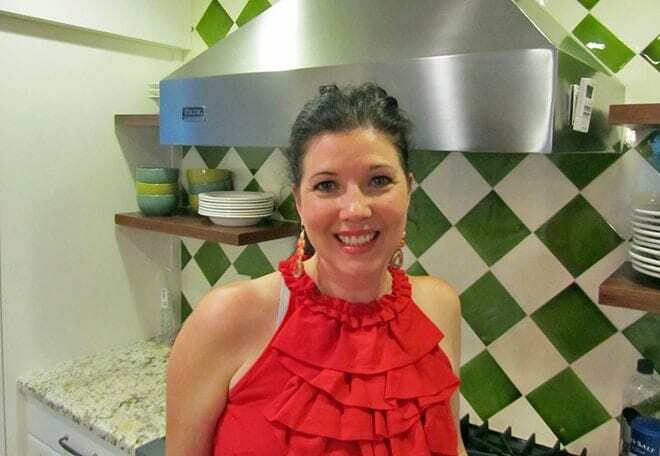 Kari has lived in the U.S., Canada and even Germany following her hockey-playing husband, currently in Florida, Kari took her love for food everywhere she went, including culinary school! Kari’s blog has an eclectic variety of recipes and while she does have desserts she shares a lot of great savory recipes that really appeal to me like a lentil and mushroom tart that calls to the inner francophile in me and her whole wheat cheddar drop biscuits that allow me to be bad and good all in the same luscious bite. My mom and dad both worked, so I took on the cooking duties from an early age. I don’t know that I would consider myself a foodie from that age, but I did love experimenting in the kitchen…If there was a new way that I thought of to use canned soup, I tried it! I had wanted to write a cookbook for the longest time, but was not disciplined in writing out my recipes as I created them, because that meant that I would have to take the time to measure out the ingredients and I hated to measure! In talking with a bunch of friends, they mentioned that they had begun getting rid of their cookbooks because they just go to the World Wide Web for their recipes. I actually didn’t know a thing about blogs or blogging until a friend suggested that I start a blog. So I started a blog, without knowing a thing. I like pretty much anything Italian; I love that Italian food isn’t fussy, and that it’s about humble, yet good quality ingredients. Someone (who shall remain nameless) once told me that Italian food is boring and all the same…Italian food is so much more than spaghetti and meatballs! Other than cheese, chocolate and bread, I love to eat vegetables. Billy, my husband thinks that I’m completely whacky because I get so excited for veggies. So far, I’ve not come across a vegetable that I haven’t liked; I even put them in and on pancakes for a quick and easy dinner or brunch. When I’m sick, or sad, or it’s a cold night, or I’m just hungry, pasta soothes my soul! 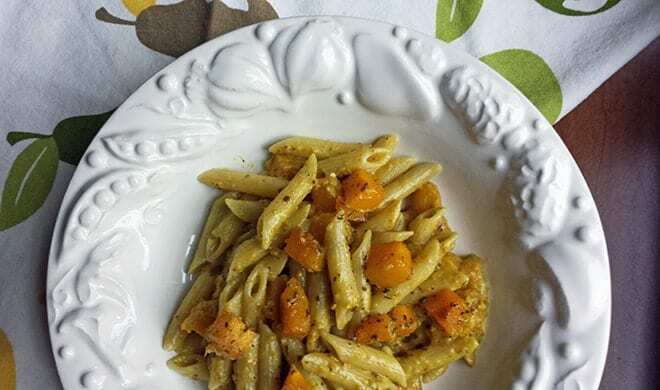 As of late I’ve been crushing on this Penne with Butternut Squash and Pistachio Pesto, not only is it delicious, but it’s loaded with nutrition, so that I feel good eating it as well as feel good about eating it! My perfect food day happens for me on vacation! For me food is as much about the cultural experience as the site seeing. When I travel, I avoid the touristy restaurants and find out where the locals go to eat. I would rather take a shorter vacation, and eat really well for every meal, than a long vacation that has me eating at McDonalds and Subway. When I spend my vacation visiting family in Victoria I can’t get enough of Canada’s favorite treat, Nanaimo Bars! Julia from The Roasted Root, she not only cooks super healthy, yummy food, but she’s witty, and I find myself chuckling as I read her posts. Tricia from Saving Room for Dessert, she’s my go to for all things baking, and her stunning photos inspire me to put more thought into my own photography. Finally Angela from Oh She Glows, she makes eating vegan delish! I don’t consider myself a writer, but a friend of mine who is a writer told me that when writing, write the way you would speak, I’ve never forgotten that. Also, be yourself, it is your uniqueness that readers are looking for! Keep up with Kara’s tasty tidbits on Twitter, Facebook, Instagram, Google+ and Pinterest and of course by visiting Loaves n Dishes. How about you? What would you like to ask Kara? All of this looks delicious. I want that butternut squash pasta. Cool feature on Kari! And I totally agree with her…food is best enjoyed when on vacation because it is also part of the cultural experience! And it is always wonderful to look back when you tried something different. For example, to this day I can say the first time I had Ostrich meat was in a restaurant in South Africa. Cool! 🙂 Thanks for sharing. @Cara, there is a restaurant around here that has ostrich burgers – love them! Yes to cheese, and yes to pasta! Although I’ve gone gluten free for health reasons, so I think I have to rediscover pasta in the gluten free category, and I’m a little reluctant to do so. @Colleen, I have had a few gluten free pastas that aren’t bad at all! Hi Colleen! I’ve not tried gluten free pasta, and I understand your reluctance; though you might give it a shot. If the gluten free pasta does disappoint you can always use your favorite pasta sauces to top a nice bowl of polenta or farro. Farro does contain gluten, but because it is a whole grain, mildly gluten sensitive folks are able to tolerate it. I LOVE NANAIMO BARS. I cannot seem to find them now that I’ve moved to the USA … I might have to start making them myself. Funny how certain things are “Canadian only” or “USA Only” right? I mean… Nanaimo bars are amazing. USA bakeries: start making them! Lol. @Nancy, I’ve never seen them in any bakery here either! I spent two summers sailing up in the San Juan Islands and into Canada and Nanaimo Harbor and tried the bars – why haven’t American bakeries stolen this yet?! Hi Nancy! I know, I looove Nanaimo bars! The bakery at my favorite grocery store actually made an attempt at Nanaimo Bars once, but called them Vancouver Island bars, probably because they didn’t know how to say Nanaimo! all this food looks so delicious! 🙂 I have to disagree with your.. whoever should remain nameless… I absolutely love italian food and have never found it boring.. though i rarely eat spaghetti and meatballs anymore. I sure like the looks of theose Nanaimo Bars! I completely agree with her about pasta. I love it! oh wow! Reading stuff like this really humbles me when it comes to my cooking abilities. This looks so amazing. So nice to meet Kari from Loaves and dishes! She’s already my friend if she loves cheese, chocolate and bread and Italian food! We’d get along swimmingly! 🙂 And those bars! Oh my…need to make those, stat! Thank-you Christina! It isn’t wonderful how we can make new friends and bond over food…especially carbs! Hey Tanya, when I’m in a hurry to get a healthy dinner on the table, I turn to roasting. Roasting imparts tons of flavor, and takes very little hands on time…the oven does all the work! @Regina, I love food, can’t cook, but consider myself a foodie! Thank you for exposing us to a new blogger! Lovely pictures! Yum! Those pastas look so good! Thanks for sharing this interview! You know it’s so funny, when I was at school, the teachers always told me to write more formally. I guess maybe my blog is a little bit of rebellion to add my dash of personality into my writing. Seems like so many others do the same! Never thought about veggie pancakes before. Totally gonna try it. I LOVE ME SOME VEGGIES. I ate before reading this post, progress! Everything looks so yummy though. 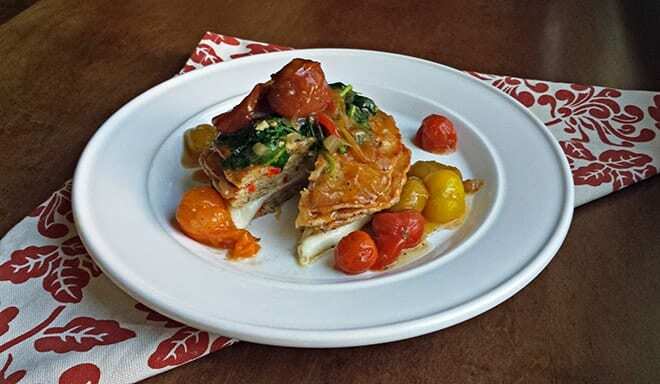 Her food looks lovely, and I would have never though to put veggies on pancakes! I can eat pasta any day of the week and that’s why I have hips :). The nanaimo bars look good. Thanks for sharing the recipe. I’m going to check it out. Nice to meet you! Happy Holidays to you and yours :). @Corina, men love hips! Pasta is worth it! Thank you for sharing these awesome recipes. I will be pinning them! Happy New Year! Ok I’m officially hungry haha Great recipes! Great photos! I want to eat one of each! Love the biscuits! 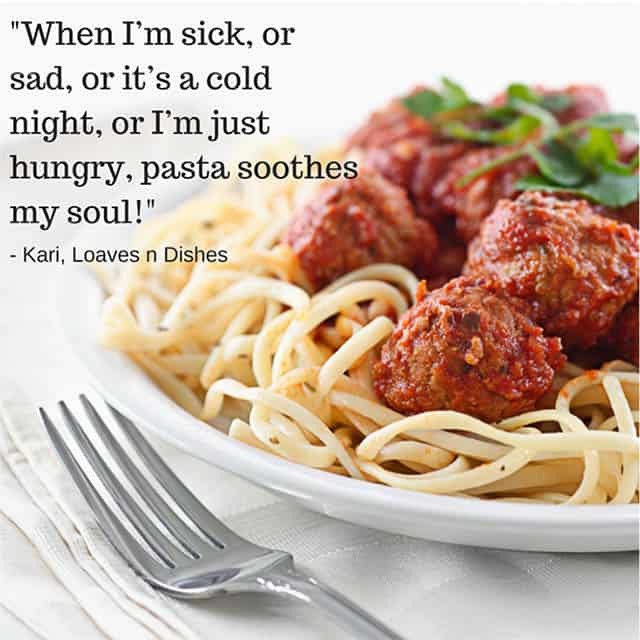 I totally agree with her – pasta soothes the soul! Penne with Butternut Squash and Pistachio Pesto is such an interesting combination. I’m gonna try it this weekend! Nice to know you, Kari! @Mai, let me know how it turns out! Butternut squash pasta looks delicious! my fav food is when im on holidays too! love to try new THINGS!